Anaplasmosis is now recognized as an economically important cattle disease in at least 40 states. Sometimes called yellow bag or yellow fever, the disease is caused by the parasite Anaplasma marginale, which infects red blood cells. It is spread primarily by ticks and other blood-sucking insects, including horn flies, horse flies and mosquitoes. Most new cases of anaplasmosis are seen in late spring and early summer. However, disease transmission has been recorded in cattle under desert mountain range conditions every month of the year. Cattle experts urge you to suspect anaplasmosis when animals are anemic, regardless of the season. Other symptoms include weakness, fever, depression, constipation, decreased milk production, jaundice, abortion and sometimes death. 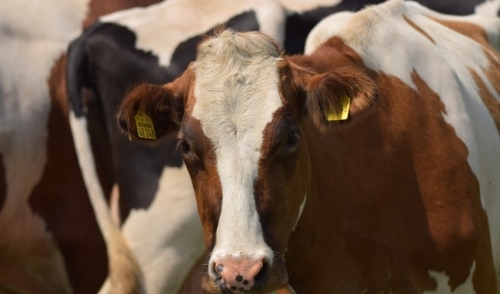 If left uncontrolled, anaplasmosis can cause abortions (which may reduce the calf crop by 4 percent) and lower productivity, which can increase cull rates by 30 percent, says Denny Hausmann, DVM, technical service veterinarian for Alpharma, Inc. Animal Health. Studies show that anaplasmosis can cause mortality rates of 30 to 50 percent if symptomatic cattle are left untreated, Dr. Hausmann says. Anaplasmosis also reduces productivity and fertility in 1- to 3-year-old cattle, he adds. Once animals recover from infection, they usually remain carriers of the disease for life, showing no symptoms but quietly infecting other animals. Using a free-choice antimicrobial approved for anaplasmosis, such as Aureomycin®, will help protect your cattle against early-stage anaplasmosis and prevent the disease from occurring during high-risk periods, according to Dr. Hausmann. Aureomycin is approved for administration in the feed to control anaplasmosis in beef cattle. Cattle can receive Aureomycin right up to slaughter as no withdrawal period is required. Feed manufacturers, such as Purina Mills, offer a variety of feeds, and free choice minerals and blocks containing this broad-spectrum antimicrobial. 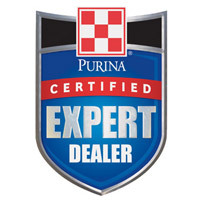 Contact your local Purina dealer for more information.